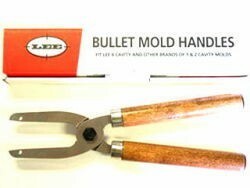 We make Custom Bullet Molds to your specifications for a setup and tooling fee plus the cost of the mold. When we receive your mold design, we will enter in the order and charge you. It is our policy that for ALL custom orders you submit payment with your order. If you should cancel your order after it has been placed and processed, the charge for the mold is refundable, but the tooling fee is NON-refundable. The above setup and tooling fees will be waived on orders of 40 pieces or more. Current lead time for all custom bullet molds is currently 8 weeks.